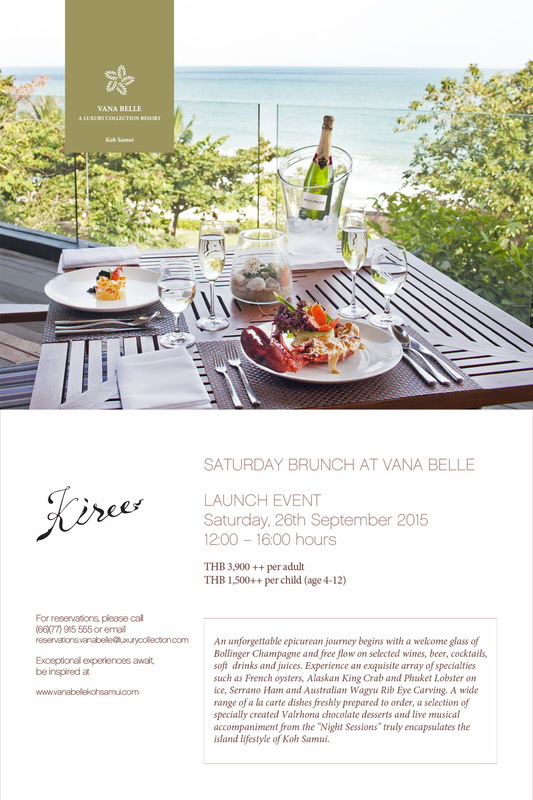 On Saturaday 26th of September Vana Belle will be launching their new Saturday Brunch between 12.00 and 16.00. The spectacular Brunch will include a welcome glass of Bollinger Champagne and free flow on selected wines, beers and cocktails, soft drinks and juices. Here you will experience an exquisite array of specialties such as French oysters, Alaskan King Crab and Phuket lobster on ice, Serrano Ham and Australian Rib eye as well as a wide range of a la carte dishes freshly prepared to order and a selection of specially created Valrhona chocolate desserts as well as live musical entertainment.